Maidstone Wind Symphony joins forces with Maidstone Choral Union for a Concert of Remembrance. 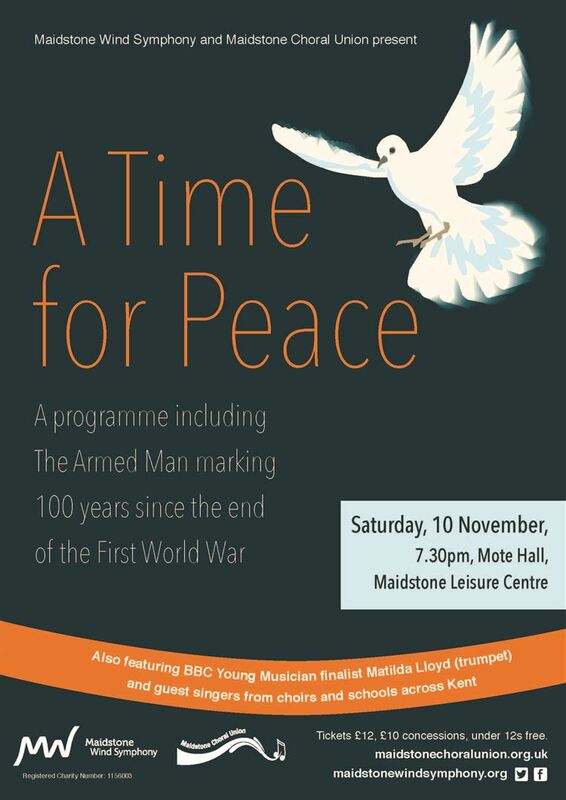 Maidstone Wind Symphony joins forces with Maidstone Choral Union for a massed Concert of Remembrance including Karl Jenkins' The Armed Man, as we commemorate 100 years since the end of the First World War. The concert will also feature the talented trumpeter Matilda Lloyd (former BBC Young Musician of the Year finalist) and a massed choir of school and adult singers from across Kent.